Rafa seems to have his hands full this week.. & I am not complaining.. it's one thing to see Rafa on court & at a tennis tournament. Its a whole other to be able to see him off court. He is so happy & smiley..This will be updated if I hear of anything else Rafa will be attending.. Im still awaiting word to see if NIKE will be hosting an event this year, like they do every year! You are invited to experience the exclusive international unveiling of Rafael Nadal’s new Fall 2011 Armani Jeans and Emporio Armani Underwear campaign here on Facebook at 5pm EST on Thursday, August 25th. Check out our Twitter promotion where we will be giving away a pair of courtside tickets to the US Open Mens Semifinals match! All those who include “#rafaelnadal @armani" in their tweet will be entered to win. Check out Twitter at http://twitter.com/armani for more contest details. 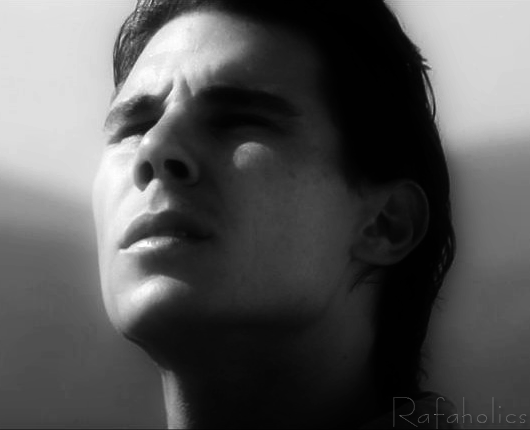 Rafa is scheduled to be at Barnes & Nobles on Saturday August 27, 2011 6:00 PM, for a book signing. 555 Fifth Avenue between E45th - E46th. Rafa Nadal, one of the superstars of the tennis world, will be sitting down soon with CNN. Here’s how you can take part in this interview with the 2010 U.S. Open champion: upload a video here with your question, and please keep it to under 15 seconds in length. Post your video before noon ET on Tuesday, August 23 and you could see the answer from Nadal soon on CNN.com!